Beetroot is a good source of folic acid and it is rich in iron too.beetroot is well known for its power to lower blood pressure. 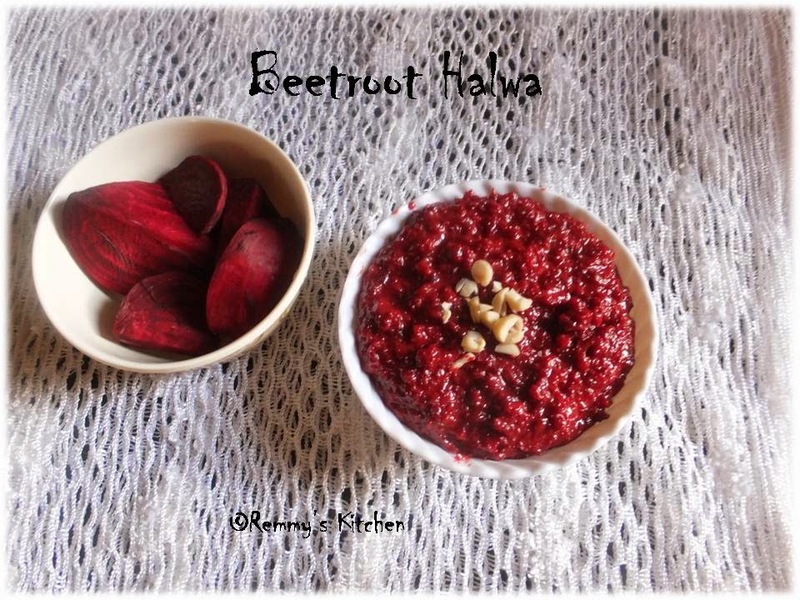 Even diabetic persons can take beetroot.sugar present in it is fat free and has a medium glycemic index.I used to prepare beetroot thoran(stir fry), juice ,Pachadi ,koottu etc..But I think Halwa is more delicious than any other recipe. Heat a pan with 1 tspn ghee. Roast the cashew nuts and keep it aside. Heat ghee in a pan,and add grated beetroot. Saute it for few minutes . Add milk and allow to boil .Once it boiled, keep the stove in low flame and allow to cook the beetroot in milk. When the mixture is going to dry ,add sugar. Stir it well and when it mix well with beetroot sprinkle cardamom powder and roasted cashews. Don’t dry the mixture completely. 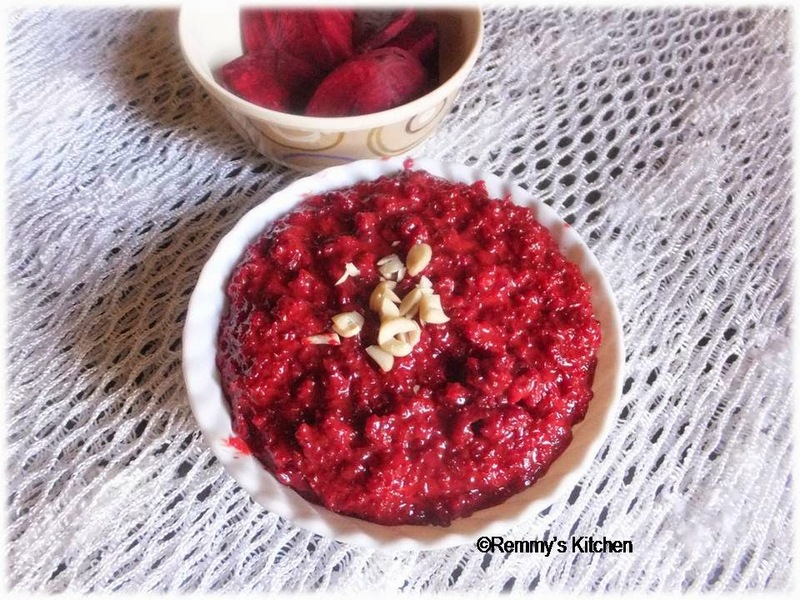 wonderful beetroot recipe....looks delicious and yummy! 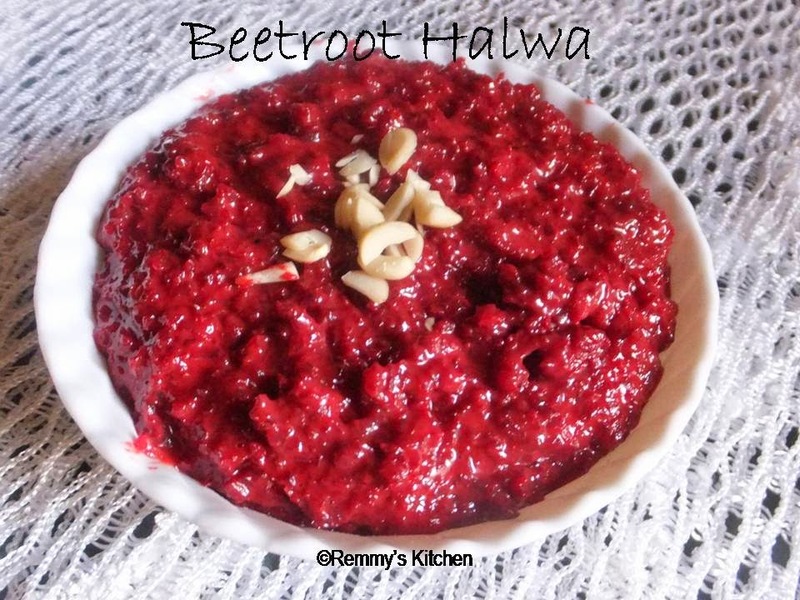 Halwa looks so excellent, very bright and fresh, seeming easy to prepare as well. I love the unique flavor combination using the cardamom which I've never tried. In the US beets tend to be more highly utilized in vinegars, and pickling. Will definitely prepare this dish. Thanks for sharing! 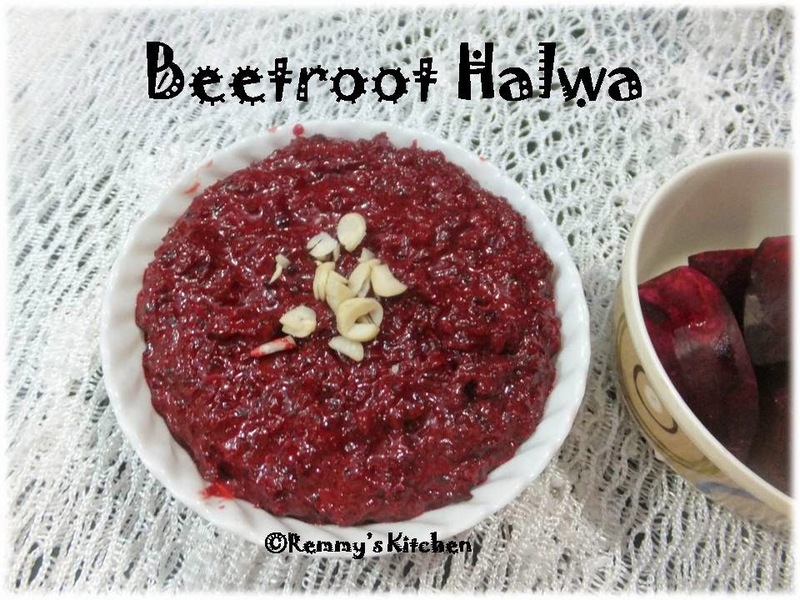 Beet root halwa looks delicious love it.